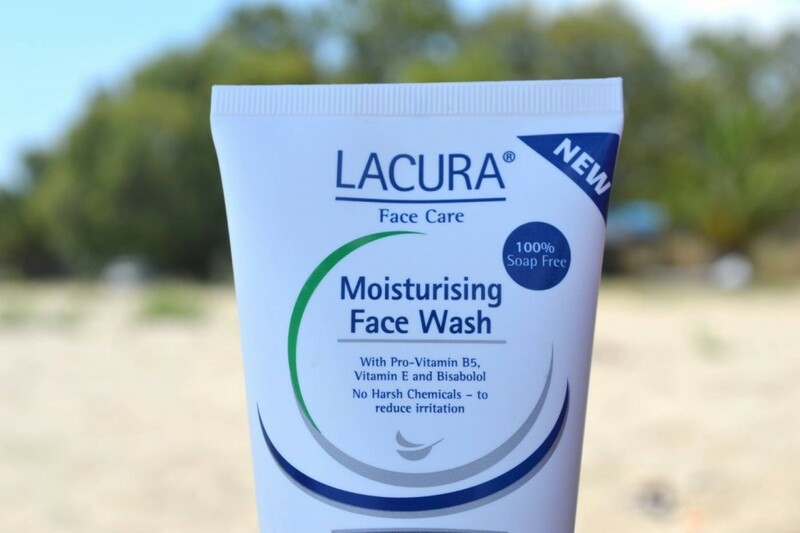 Lacura Moisturising Face Wash Review – Many of you will have seen this preview post about Aldi’s Skincare / Beauty range, I received a box of wonderful goodies and in this post I’m going to be writing about the Lacura Moisturising Face Wash. The packaging is simple, sleek and I love the colourful cap – there’s plenty of information provided on the front, letting you know that the product is 100% soap free, contains NO perfume, NO colour and NO harsh chemicals. There’s nothing ‘wow‘ about the texture, it’s like many other face washes on the market but one thing which does stand out is that it actually feels creamy! It’s a highly nourishing, creamy formula that lathers ever so slightly when it’s massaged onto damp skin. Lacura Moisturising Face Wash Review – How well does it work? This works really well when massaged onto skin, it’s gentle yet effective and I like that my skin doesn’t feel irritated, dry or stripped of it’s oils after use. It just leaves skin feeling very refreshed and clean! I tend to use this in the evenings to really refresh and revitalise my skin, it works great at removing all traces of make-up and mascara but have noticed that I will need to use this twice to remove evening make-up especially when I use the Too Faced Bulletproof Eyeliner! I’m really impressed with this face wash – it’s hydrating, nourishing and cleanses skin well without leaving it feeling irritated or stripped of essential oils. I would recommend this to everyone especially over the summer months to ensure your skin is kept moisturised and nourished in the heat yet throughly cleansed! You can purchase this in-store for just £1.29 or browse their whole range online – when you think of the quantity and the fact this really works well at removing your makeup and leaves your skin feeling nourished and smooth – what’s not to love! Why not give this product a go? It’s good to try something that different – you might just find a little gem! Never heard of this line before! Thanks for sharing:-). Love discovering new brands to try. Great review! Seems like a lovely product! No perfume, no colour and no harsh chemicals? Sounds good to me 🙂 Also, the price is incredible! Have a lovely week Layla. I’m quite open-minded when it comes to new products! And we actually have to change our beauty routine every now and then, anyway! So the skin didn’t get used to it and therefore the product can take full effect! Thanks for sharing, beautiful Layla! You’re the only blogger I know you present Aldi’s products! Well done, darling!!!! <3 Happy Monday! This sounds amazing! I love when it smells good as well. It is always an added bonus to wash your face with something nice smelling! I’m yet to use this product! Great review. This sounds quite amazing and so cheap too! I’ve used some Aldi skincare products in the past, but I don’t really know why I stopped using them.. I should really pick this up though. For that price you can’t really go wrong!